There are so many unanswered questions in the world. A lot of them include the term 'love'. What is love anyway? Is it real, or just an illusion, just so powerful you believe it's actually a stable feeling or emotion? Every single human is capable of this 'love' concept. Whether they like it or not. If that's the case, what do you call a somewhat human who doesn't, or can't? That would be Ravenswood. Robin Ravenswood. The successful killing creation of a government run assassin agency, who happens to be half human. The other half would be metal. Too unnaturally beautiful to be human and to... human to be a machine. When Robin is assigned to an assessment, her immunity to love starts to somehow waver. If closing your eyes is the entrance way to peace, can opening your eyes change your 'destiny'? Blair Winchester is a smart naturally beautiful girl and also the most ruthless assassin since the age of 12. Who kills anyone that gets in her way and shows no emotion to anyone except to her loving  parents who are retired assassins but still train as hard as anyone else. So when life seems to be going good you should know that that doesn't last long and will come to an end. On Blair's 17 birthday her parents are murdered and she is forced to move in with her mothers old friend Katherine Henderson who lives in a small town near the woods with her husband that is always on business trips for work. What will happen when Blair finds out Katherine has 7 sons and there the most popular guys at school. Even though the she wants to stay in the shadows. How long can Blair keep her secret and find the person who murdered her parents and get revenge or will she stop her ways and live a normal teenage life for her last year of high school. when Blair finds out secrets of the past that start to show up what will happen next only time can tell. this is my first book and I'm not the best at grammar and that stuff so please bare with me on this. hope you like my first book. ALL RIGHTS RESERVED NO COPYING!!!!!!! won't post pictures of characters i will only give descriptions so let your imagination run wild! Ryia and Alexandria have heard nothing from Simon in almost a month. But just when they thought everything was back to normal, evil rises. Will they defeat the sources of evil, or will all of Talahan be lost? *My Name Is Reeast. I Serve The Goddess Nyx...I Am Her "Loyal" Assassin. *My Name Is Arch, I Serve The God Erebus...Even Though He Is My Father. 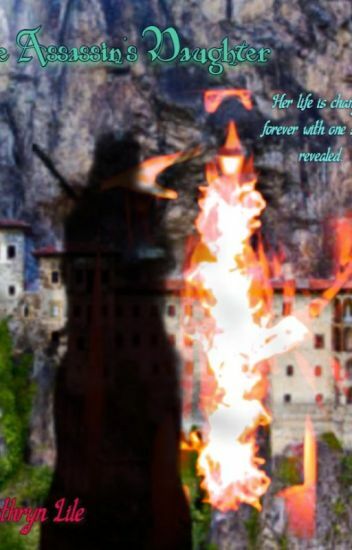 •In The Story "Night's Assassin, Reeast Is A Hopeless Love With A Heart Of Evil. All She Brings Is Destruction, Hurt, Sorrow, Pain...And Each Time It Leaves Her Empty. She Is Known To Be Heartless, Cold, A Ruthless Murderer...A Non-Tamed Beast. But Is There A Small Place Of Hope, Warmth And Kind In Her Heart? •In This Story Arch, Is Supposedly "Evil" Because Of His Parents Nyx And Erebus But When He Sets Out For A Planned Assassination Could He Find His True Love? Another Chance At Life? Another Reason To Hope? Ryia and Leo finally return to Talahan after a year of being in fae training. But they don't expect a war to start with Simon. Will Alexandria, Ryia, Aaron and Terrin defeat Simon, or will all be lost? Ryia and Alexandria know that they haven't won just yet. They must defeat the forces of darkness along with their evil leader, Simon. Will they succeed or fail miserably? It has been years since the great war against the Demon King in the kingdom of Talahan. After so many years of peace and happiness, darkness threatens to take over once more. Ryia, the twin of the Queen of Talahan, Alexandria, has fallen into a coma, threatening her life. Now, her three children, Fabian, Diana and Merline, along with the children of Alexandria, Damian and Liana, set off to find an earb that will save Ryia's life. Meanwhile, a slave of the Demon King, Marie, escapes from his castle in order to find queen Alexandria, who knows of Marie's father, Terrin. Will the Royal children find the earb and save Ryia's life? Will Marie learn the secrets about her parents? Or will Talahan fall into darkness? She was the best. No one could match her skill. She killed for what was right, not for evil. Others saw her as ruthless, psychotic, and terrifying. Only some truly knew her. Her identity had changed many times over the years. She's only 18, yet she could pass as 21. She's feared around the world. She's constantly hired to deal with rouge werewolves, vampires, and on rare events giants. It's almost as if she has no emotions, no feelings. Then one day, while undercover in a werewolf pack things take a turn. She's able to get away with being a wolf only because she is one. No one knows the reality of her being an assassin. In the turn of events, let's just say her mate is pretty important. Her true name is Serenity.